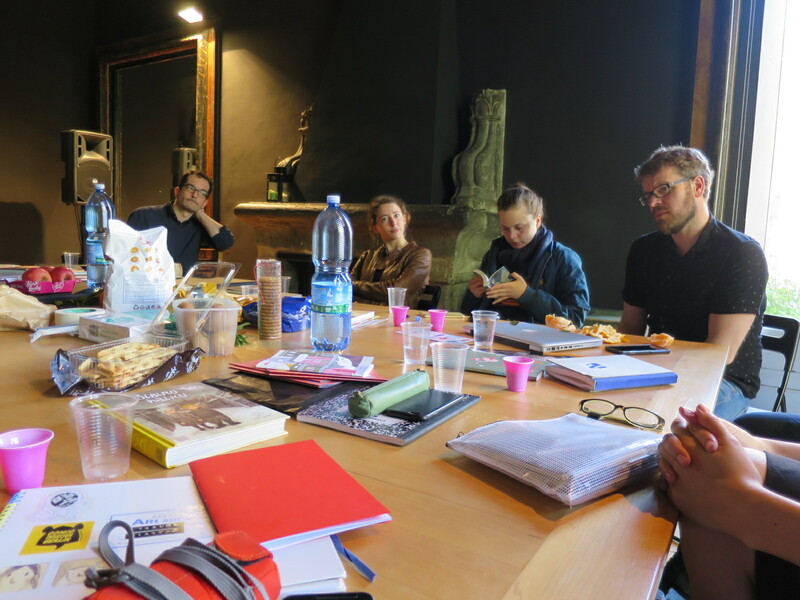 The first workshop of “Redrawing the Past II: Escape and Migration in Europe” took place in Naples from April 5th to 10th, 2018. 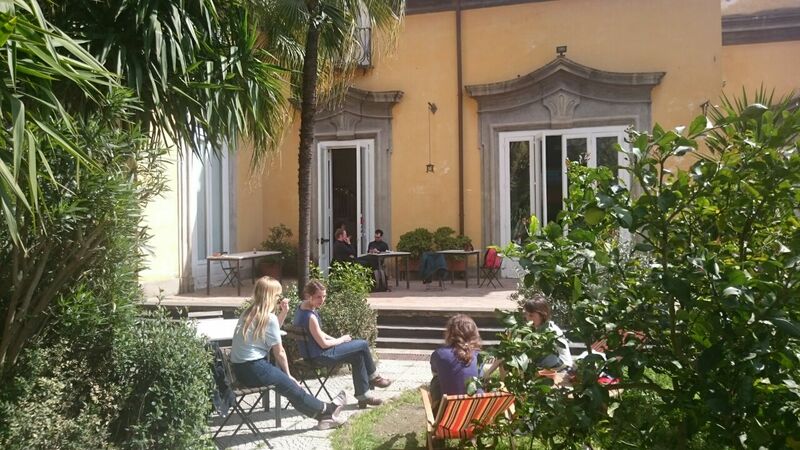 The five participating artists Lea Heinrich, Julia Kluge, Lina Itagaki, Emilie Josso, and Alice Socal spent one week at the beautiful workshop space Riot studio, which was provided by our partners, the Goethe Institute Rome and Naples. Besides giving lectures on storytelling and visualisation techniques, Sascha Hommer, comic artist, and Ole Frahm, historian, presented different approaches in dealing with topics such as escape and migration in comics. The historian Michael Hein gave a comprehensive overview of movements of flight and migration during the National-Socialist period. He then reflected on selected stories involving citizens of various European countries. At this point, the artists came up with story ideas of their own, which were then discussed in the group. 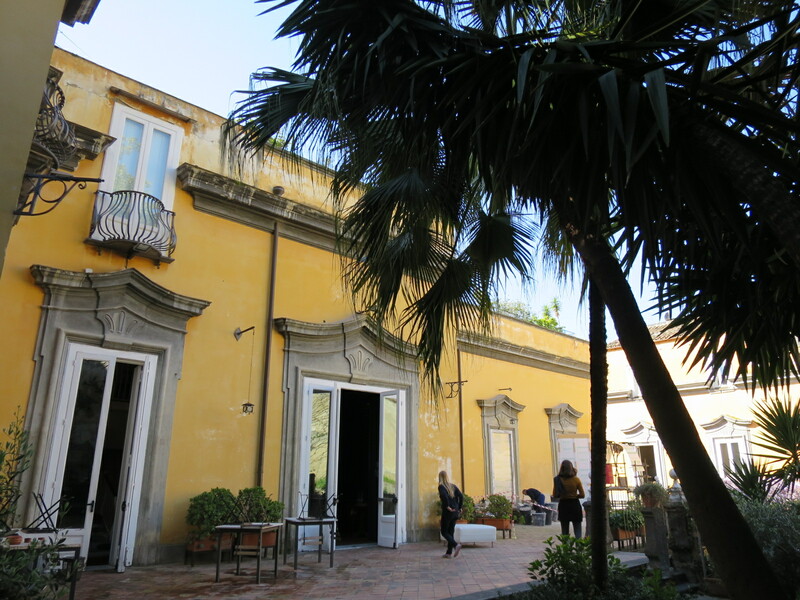 To discover the history of the region, the whole group took a trip to a former internment camp in Campagna (province of Salerno), just 1.5 hours away from Naples. We visited the museum and were introduced to the history of the camp, located in a former monastery in a small mountain village. 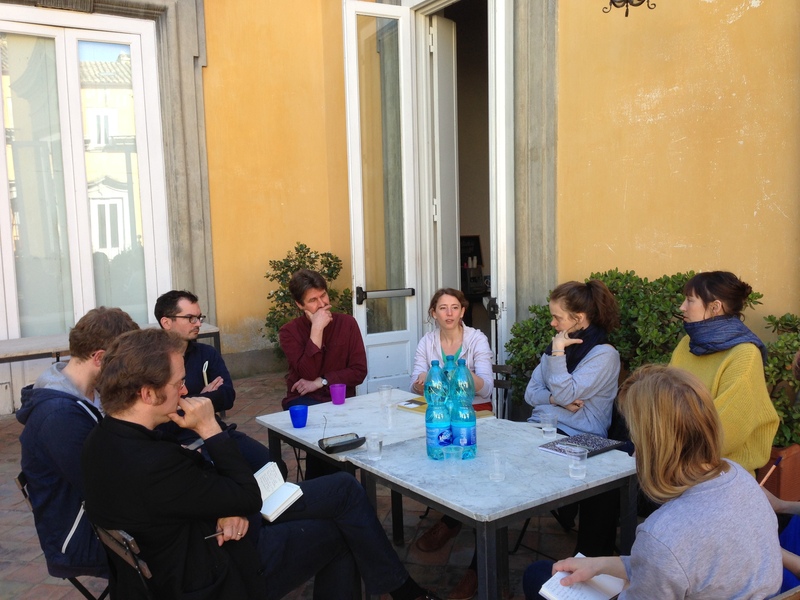 On the last day, Sascha Hommer and Ole Frahm held single consultations with the artists, focusing on story ideas and research techniques. We also discussed the future stages of our project, including the exhibition and publication with the Latvian publisher kuš!, scheduled for spring 2019. Apart from working on their projects, the workshop participants had plenty of time to discover the city, visit comic exhibitions and meet local illustrators and artists. On the last evening, the Goethe Institute organised a public event, which gave us the opportunity to present our project to the public. Our second workshop will be held in Leipzig in the first week of July.